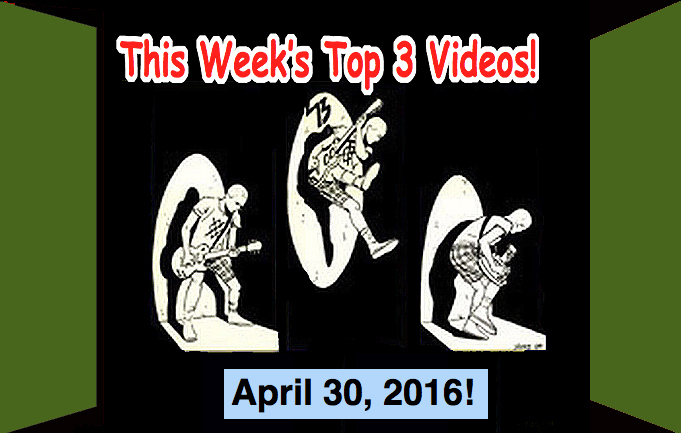 Top 3 Videos for April 30, 2016! Mitski, Skating Polly, Palaye Royale, Japan’s own Molice! It’s Top 3 Video time! The best of the Top 3 videos for April 30, 2016! At #1 is a song that was introduced to us by an artist named Julie (You can see one of Julie’s videos here). Julie turns us onto an awesome new artist named Mitski who I am told is half-Japanese and was born in Japan but now lives in New York. Her Wikipedia says; “Mitski was born in Japan and grew up surrounded by her mother’s 1970s pop CDs. Her family moved frequently, from Japan to the Democratic Republic of Congo to Malaysia to China to Turkey, among other countries, before coming to New York City. Her music reflects her cross-cultural identity as “half Japanese, half American, but not fully either,” and issues of belonging.” Here is her FB page: Go “Like” it. I think Mitski is going to be a big star! I hear this video was made in collaboration with fans all over the world who sent in photos from their local river.